Highlight: The first regional preparatory meeting for the 2015 meetings of the conferences of the parties to the Basel, Rotterdam and Stockholm conventions for the Latin America and the Caribbean region was held in Montevideo, Uruguay from 14 to 15 April 2015. 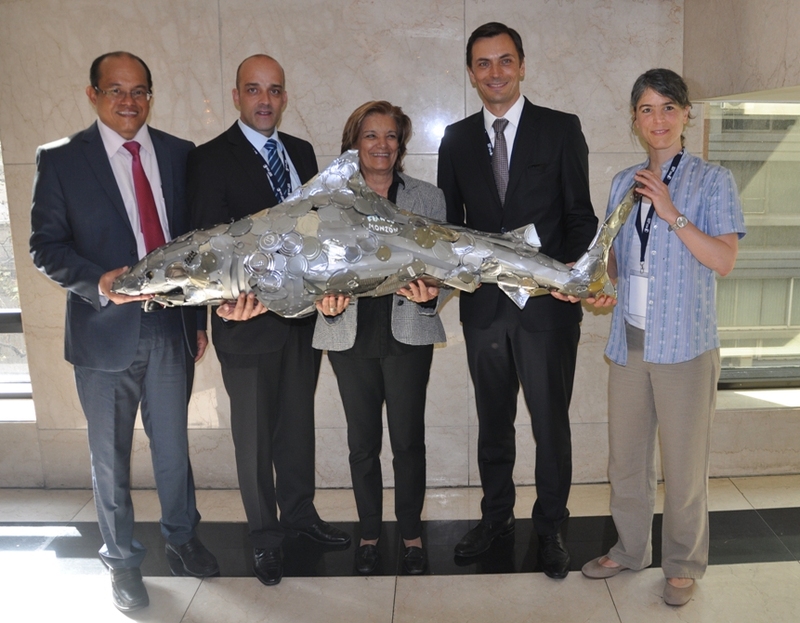 The meeting was held back-to-back with a regional workshop in support for the ratification and effective implementation of the Minamata Convention on Mercury which took place from 16 to 17 April 2015, at the same venue. The meeting was attended by 107 participants, including representatives from 27 Latin America and the Caribbean countries, 6 intergovernmental organizations, 5 non-governmental organizations and 7 Basel and Stockholm conventions regional centres. Participants exchanged views on the documents of the 2015 meetings of the conferences of the parties as they related to the items of the programme of the Latin America and the Caribbean regional preparatory meeting. Organizers: The regional preparatory meeting was organized by the Secretariat with support from the Basel and Stockholm Conventions Regional Centre in Montevideo, Uruguay. The Secretariat collaborated closely with the interim secretariat of the Minamata Convention on the organization of the back to back meetings. The regional preparatory meeting was organised thanks to the generous financial contributions from Switzerland and the European Union. Working Language: English and Spanish.